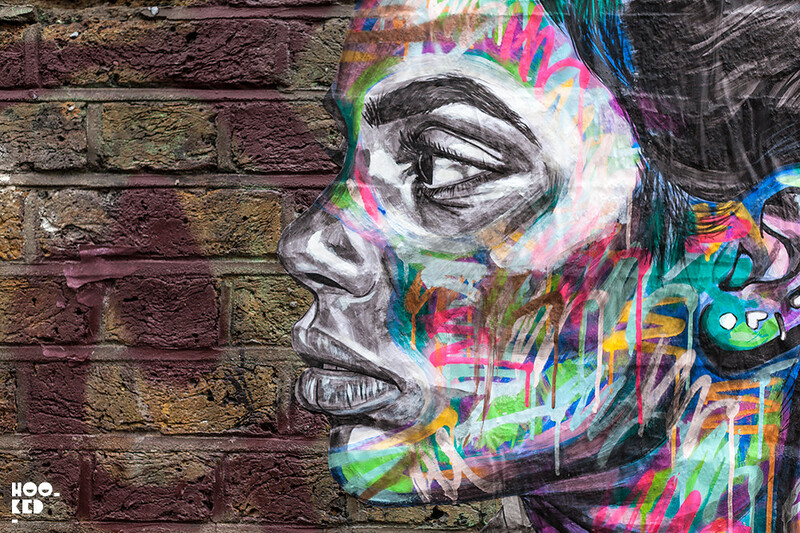 Those of you who found yourselves wandering around the Brick Lane and Shoreditch neighbourhoods over the weekend may have noticed some vibrant splashes of colours shouting out from the walls. 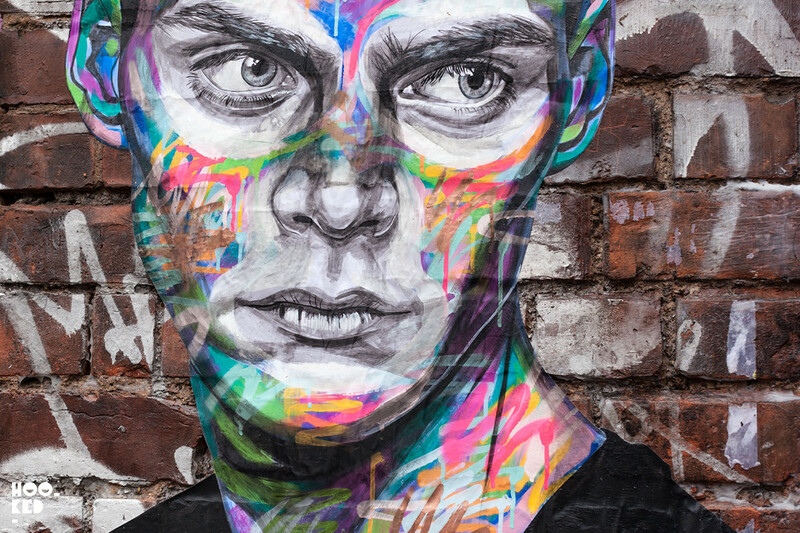 If you did happen to catch the colourful portraits staring back at you from the walls you might have just caught some of the new works from artist Ant Carver. 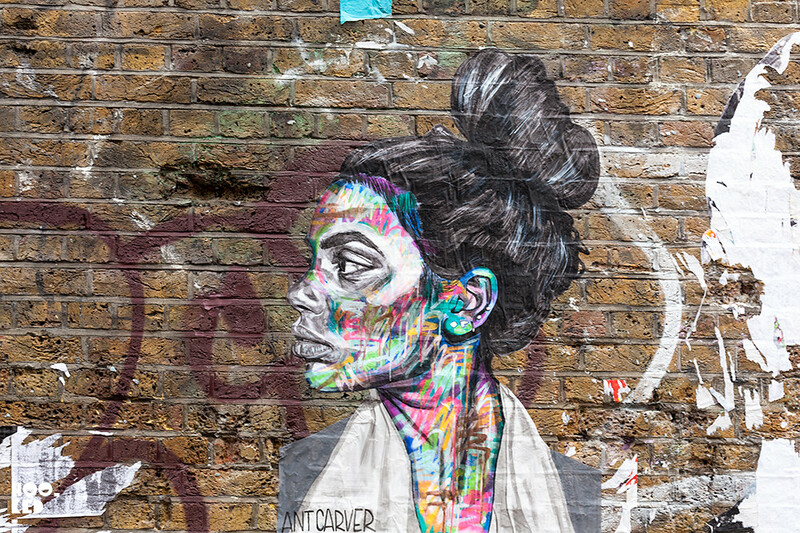 The Hackney Wick based artist installed a series of new hand painted portrait pasteups around the neighbourhood over the weekend. 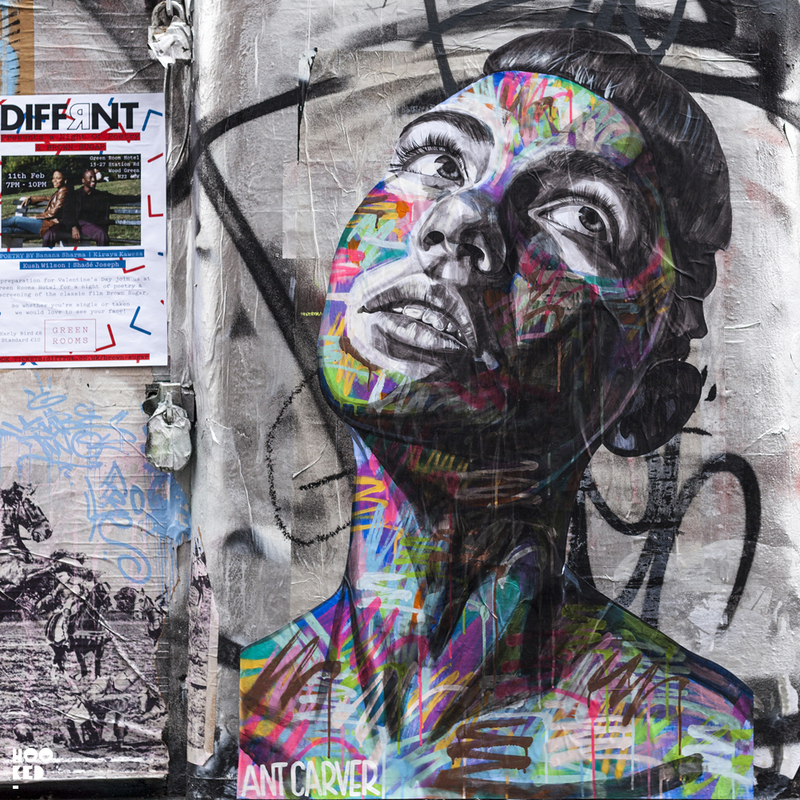 The new works from Ant Carver are part of his ongoing series of striking monochromatic portraits both male and female with layers of bright abstract elements and tags painted over the images. The four new pasteups join a number of other works from the artist which he installed on the streets back in October and can still be seen. 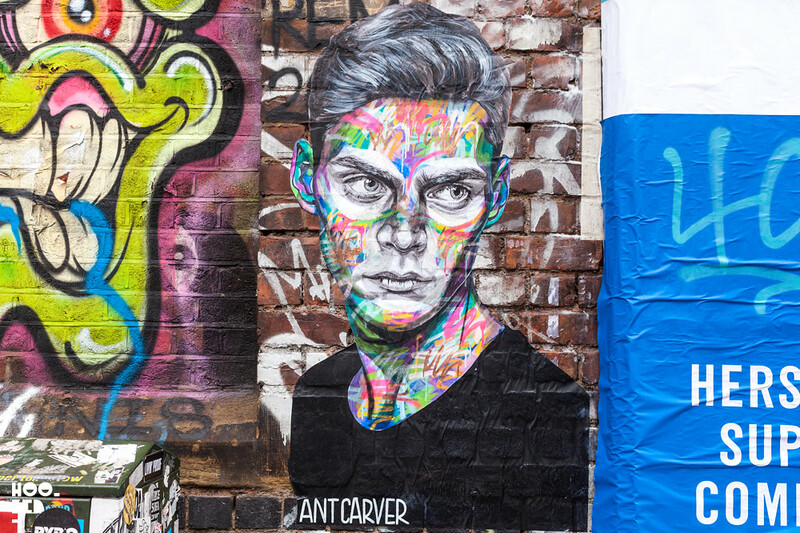 Ant Carvers portrait joins this busy wall along with the recent pasteup addition from Chicago based artist Don't Fret. 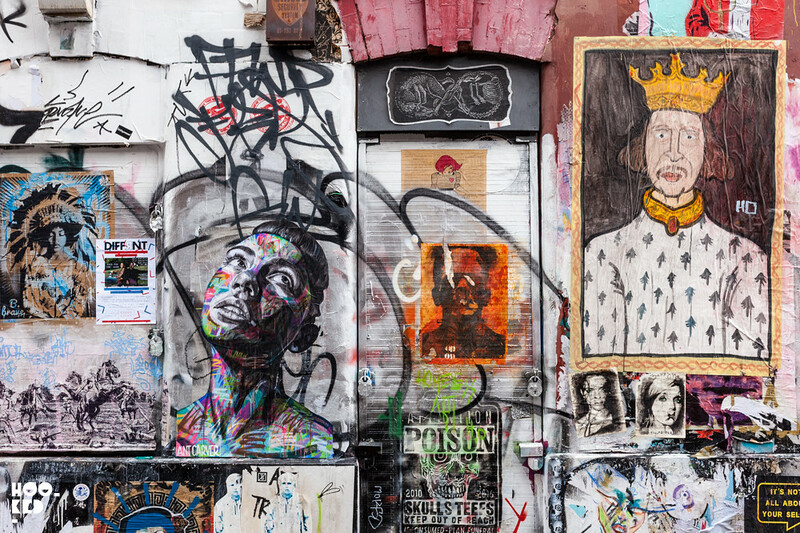 These works are located on Grimsby Street just off Brick Lane. The second of Ant Carvers four new pasteups, this one can be found on Sclater Street. Close up showing some of the details of the third of Ant Carvers hand painted works which is pasted onto a wall also off Brick Lane on Buxton Street. 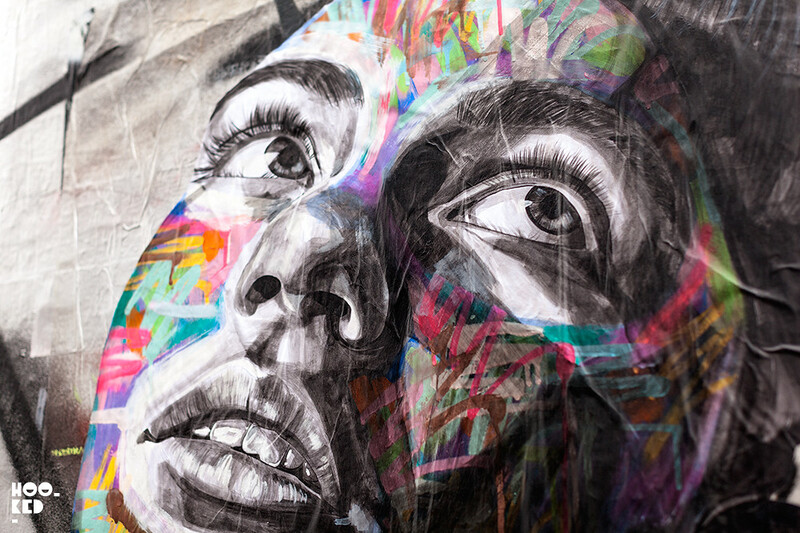 There is a fourth piece of work from the artist that we are aware of, out there on the streets somewhere that we have yet to find and photography. If you have discovered in in your travels and know the location please let us know in the the comments section below, thanks. For more street works from the artist check out our previous Ant Carver post here featuring the work he installed back in October.